Moving is stressful time for everyone in the family, and if my own emotions are all over the map, I know it’s rough on my kids as well. From the sad goodbyes to the hopeful expectations, there’s a lot of emotions and feelings for all of us to work through. While no tip or plan can ensure a seamless transition for everyone in the family, we’ve found a few ways to make moving with kids easier on everyone. With all of the details of moving swirling around, kids might feel lost in the shuffle. Where possible, build in extra time for each of them into your busy days. Try to get the children on their own, apart from siblings or friends. Take them out for coffee, head to the ice cream parlor, or play 1-on-1 basketball in the driveway. One of our children loves the car wash! Let them stay up a little longer, or extend morning snuggles. This may seem like an obvious tip, but I include it because it’s the easiest for me to forget in the busyness of a move. Be a safe place for them to share their thoughts, feelings, and anxieties. Pay attention. Validate their feelings. Extra time and attention helps, but not all kids will appreciate being peppered with questions about their feelings. Some children may best express their feelings through a drawing, while others may appreciate comparing their situation with a favorite book character. Presenting a move in a way that’s both frank and positive is a tough line to walk, but children can sniff out fake enthusiasm. It’s important to be real. Such a great resource for elementary school-aged kids! Recommended age: 5-11. 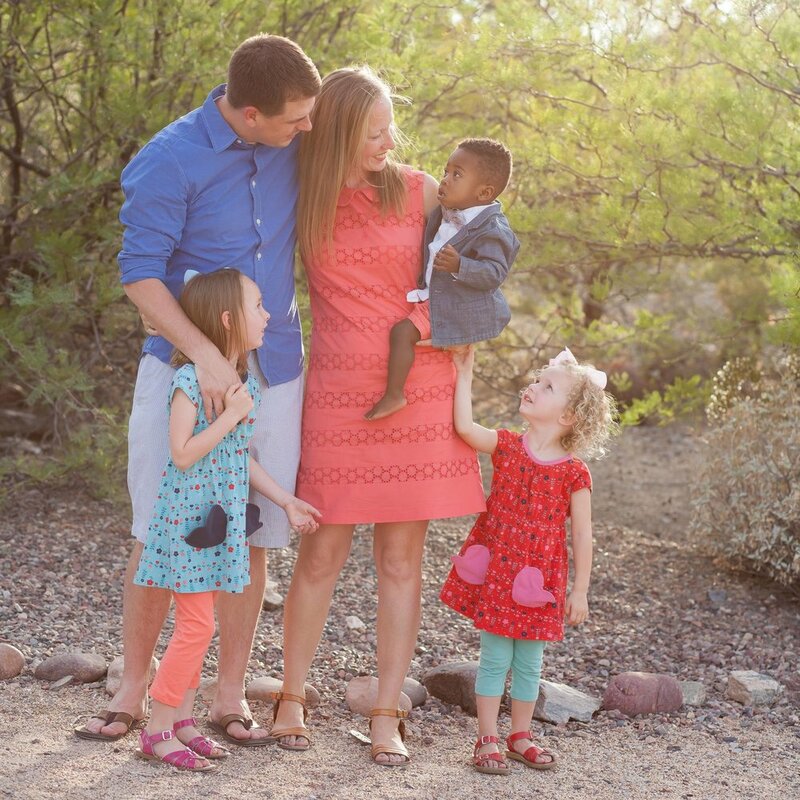 This might not be everyone’s cup of tea, but we’re a praying family. We encourage our kids to offer all of their hopes, their fears, and their desires to God. We teach them to cast their cares upon Him, because He cares for them and sustains them. On the chalkboard hanging in our kitchen, we all jotted down some of our prayer requests. Since that board is next to where we eat, we can easily refer back to it when we pray before mealtimes. We also pray for the kids separately, for schools and teachers and friends, and that they would feel loved and secure in each stage of the transition. We pray for wisdom as we help them navigate the complexities of friend drama and academics and self worth. If possible, take your kids on a trip to see the new home and neighborhood before you make the move. That wasn't a great option for us, but with the help of the Internet we were able to show them all kinds of things: our house on Google Streetview, the school website, and photos of our new house's interior on the listing. Most families use a move as a great excuse to clear out clutter, forgotten toys, and too-small clothes. While some children may make a mad grab for everything in sight when they hear that a purge or move is eminent, many (especially school-aged) kids embrace the practice. They have opinions about their favorite games and toys, and can be really good at choosing the items they’d like to give away. Giving them some level of ownership over these tasks can make them feel useful and involved the process. And when they have the ability to choose what’s most important to keep, it can allay any fears they have that their favorite things may disappear in transit. If your child has a pack rat mentality, consider offering incentives! Or if it’s a true source of anxiety for them, ratchet down your purge, or skip it all together. Check your local library, shop your favorite indie bookstore, or head to Amazon. 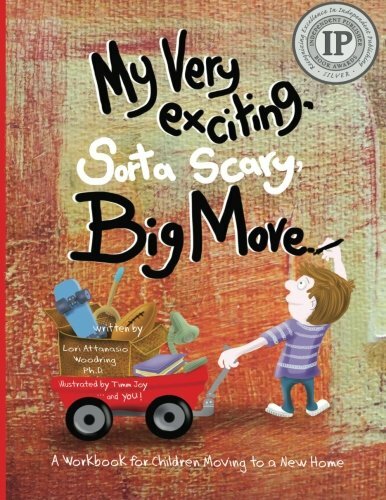 There are a ton of books for kids about moving. I also found a couple of helpful lists online, which led to a hefty library stack. Here's a review of our favorites. While a new bedroom set might not be in everyone’s budget (it’s not in ours!) don’t underestimate the joy it will bring to your kids if they get to pick out a wall color, new sheets, or a poster to hang on their wall. In a season where they may feel a lack of control over their life, it’s important to give them as much ownership as possible. Added per fabulous Facebook suggestion: Unpack and set up the kids' rooms first! If possible, set it up in a way they'll find familiar. A move is not the time to switch laundry detergent, perfume, or cleaning supplies. Our girls fall asleep to a diffuser and essential oils. Be mindful of these things when it comes to packing up, your Amazon Prime shopping, and that first mega shopping trip in your new location. In the new place, consider pumping in familiar smells as much as possible to help them feel settled. Along the same lines, consider cooking their favorite meals or baking up a beloved sweet-smelling treat in the first few days in the new place. Familiar tastes and smells are important. Added per Facebook comments: As much as possible, keep regular routines as normal as possible. Bedtime prayers, breakfast stuff, whatever is commonplace in your house. Kids feel secure when life is as predictable as possible. If you've moved with kids, what advice would share?